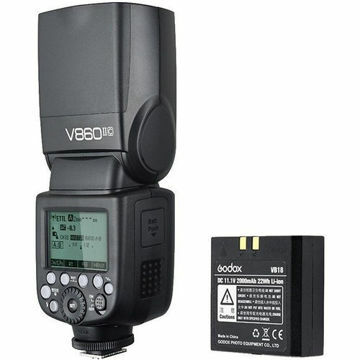 Expand your wireless flash system with this X1R-C TTL Wireless Flash Trigger Receiver from Godox. This 2.4 GHz system is compatible with Canon cameras and flashes that support E-TTL / E-TTL II for automatic exposure and metering, making it an excellent choice for shooters who need to work quickly. It also has an outstanding range of 328' and can be set to one of 32 channels for limiting interference with other nearby systems. Another huge benefit is the ability to control up to five groups at a time, or set the unit to ratio flash mode for three groups with varying power relative to one another. Users will have access to many settings through the backlit LCD found on the rear of the receiver. This enables the adjustment of settings such as sync delay and triggering modes. 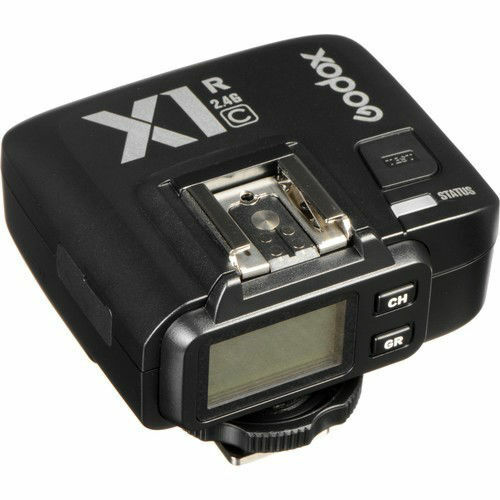 Also, through E-TTL / E-TTL II compatibility the receiver will support high-speed sync, flash exposure compensation, and flash exposure lock, among other settings. Beyond this, users will be able to easily mount their flash to the receiver's top hot shoe, or you can connect a camera or studio strobe via the 2.5mm sync terminal. Additionally, the receiver runs on two AA batteries and has a micro-USB port for firmware updates.